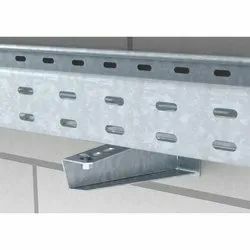 Offering you a complete choice of products which include galvanized cable tray bracket, modular junction boxes and strut fitting channel. 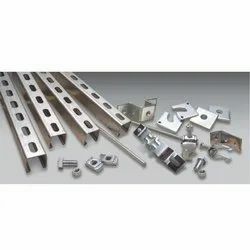 We offer a wide range of Galvanized Cable Tray Bracket which are made by quality materials in manufacture and they are available in different models, sizes and shapes. We consider the requirement of our products in many industries which can applicable with less expense that are used to protect, route and form cables, which has a cover that opens like a door through the dual sided brackets. Tray Brackets have long durability and accuracy in carrying heavy loads. Clients can access these from us at reasonable prices. We are engaged in manufacturing, exporting and supplying a quality range of Modular Junction Boxes. 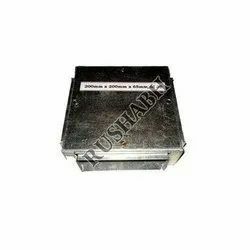 These adhere to the international standards and are developed using the quality raw material. Fabricated using the latest technology, modular junction boxes can be customized as per the requirements stated by our clients. This Strut Fitting Channel can be put together without welding and drilling that have the ability to resist corrosion and heat and also provide maximum output. We bring forth an exclusive range of these fittings and keep modernizing them depending on present market movements and expectations. Our ranges of strut fitting products are made using industrial grade materials that deals in quality, durable and strong structure to it. They can also be modified as per customer specifications. Looking for Cable Tray Accessories ?